It is really good to start this year with this Airtel Browsing Cheat N100 for 2GB and N500 for 10GB. Am glad to share this cheat with guys. It is blazing, tested and comfirm. I and many others are using it right now don’t dull before the opportunity is gone. Note that this cheat is unlike other cheats that you need VPN setting or other to download anything. No setting guys check it out. For this cheat to work for you, all you need is to get the requirements and follow the steps below. 1. Get a Registered MTN sim Card. Not it must be a registered MTN sim Card. 2. You need a valid ID card, that is identification means this might be a voter’s card or National ID. This must be a recongized means of identification in Nigeria. If you possess the requirements above then you are qualified to enjoy this cheat. Move on to the next step on this Airtel free browsing cheat 2018. 1. Take those requirements to any nearby Airtel office. 3. They will give you a form fill the form given to you. 4. After they have successful ported the MTN SIM to Airtel Network. 6. Next step reboot your phone when MTN service network have disappeared. Guess what you have finished with the most important part of the cheat configuration is time for you to enjoy you Airtel cheat N100 for 2GB and N500 for 10GB. 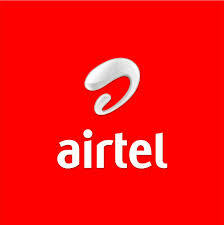 You this cheat to work for you you need to recharge your Newly Airtel Sim using Zoto Recharge wallet or Bank recharge. Please take note of above..
· Recharge your Airtel line using Zoto Recharge wallet or Bank recharge as stated above. 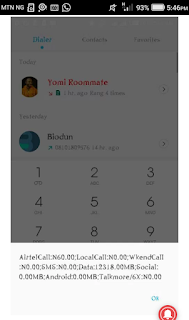 · You willreceive a message from Airtel telling you that have been reward with 2GB. 1. For you to get N500 for 10GB, just follow the process stated above and recharge it 5 times. 2. This means that you can actually accumulate by recharging your Airtel line. 1. Note that any given give data last you for a period of 30 days. Make sure you finish the accumulated data before then. This cheat from VICTOR KACHI, a webmaster and tech blogger.